Three homes went under contract in just one week, proving that now is the time to choose your new home for a late spring or summer move-in date. There are several ranch and master-on-the-main home plans that are currently under construction for late spring closing dates. It is not too late to choose that new home at The Canoe Club! The Lakeshore Plan - New Leaf Homes |Homesite 87 |219 Blue Point Pkwy |$454,805 |4 Bedrooms, 3 full & 1 half Baths -Welcome home to this open, master-on-main floorplan on one acre homesite. Kitchen with large granite island, gas cooktop, wall oven and microwave, and wooden vent hood. Kitchen is open to large family room with gas starter fireplace. Master suite has large walk-in closet, tile shower, separate soaking tub and double vanity with granite tops. Upstairs has a huge media room and 3 additional bedrooms. Covered patio overlooking wooded backyard. Irrigation system included. Did you know that mortgage rates have just hit a new 12 month low? NOW is the perfect time to choose your new home at The Canoe Club in Fayette County. Summer is just around the corner and you will love living in a lake community. Thinking of a summer move? Want to be on the lake? Check out The Canoe Club in sought after Fayette County. The Canoe Club offers high quality, well-built homes with all of the “must haves” of todays homebuyer. 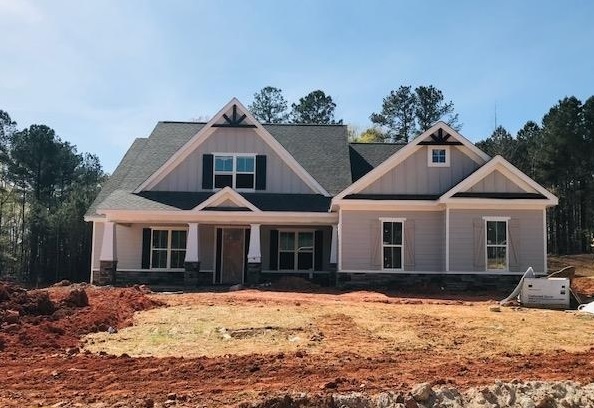 New Leaf Homes is beginning TWELVE new homes for the spring market Jeff Lindsey Homes has begun FOUR new homes and Simply Southern Traditional Homes has just begun one ONE new home on the lake. It's January and most homebuyers have only just begun to think about when they should purchase their new home. 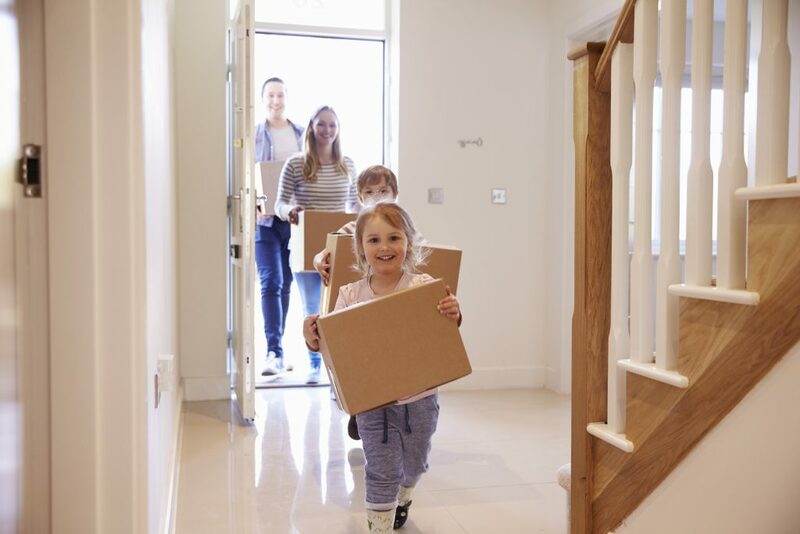 It might interest you to know that NOW is the perfect time to lock in your pricing and rates for a spring or summer move-in dates.
" The COST of a home is determined by three major components: price, mortgage interest rate, and wages. The big question? Are we paying a greater percentage of our income toward our monthly mortgage payment today than previous generations? Surprisingly, the answer is no. "Existing-home sales increased in November, according to the National Association of Realtors®, marking two consecutive months of increases. Three of four major U.S. regions saw gains in sales activity last month." If you are in a starter home and wanting to move up, the article goes on to say that the first time homebuyers are looking for your house. First-time buyers were responsible for 33 percent of sales in November, up from last month and a year ago (31 percent and 29 percent, respectively). NAR’s 2018 Profile of Home Buyers and Sellers – released in late 20184 – revealed that the annual share of first-time buyers was 33 percent. Now is a great time to put your house on the market and move towards your new home at The Canoe Club. But what about interest rates? The exciting news is that interest rates are as low as they were last summer. Hurry to lock in your rate while they are still very low. The Canoe Club is excited to welcome EIGHT new homeowners to their community this month! Come see why this community is so popular and how you can make your move to this community filled with great amenities and a wonderful lifestyle. The Canoe Club offers a lifestyle that creates an inviting neighborhood with wonderful amenities. Imagine enjoying the 5,500 square foot Nantucket-inspired Lake Cottage [seen above] overlooking the lakes with a large gathering room, sunroom, catering kitchen and coffee bar with the bird’s eye view above. move in with plenty of time to enjoy the pool, enjoy a game of tennis on the lighted tennis courts, check out the lakeside wharf dock and canoe storage plus a 24 hour fitness center. With a lifestyle that is meant to love, come home to over 600 picturesque acres and 2 spectacular freshwater lakes, Menawa and Senoya. Take a peek at the community video here. Burton Christmas Lights - The Christmas Light Show has been animated since 2009. The songs change up frequently Check their Facebook page for more details on song lists, blog and projects.